For many parents, the moment where their child passes their test and sets off for their first solo drive can inflict feelings of pride and worry. 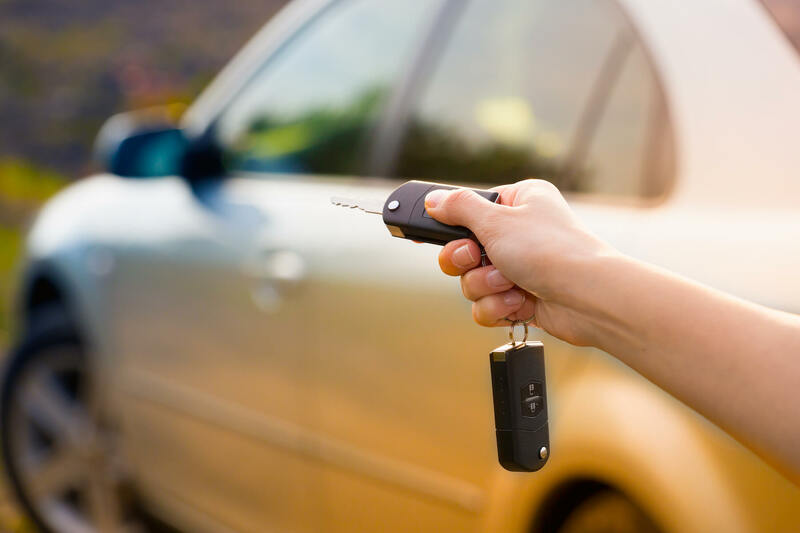 In order to ease that worry, it’s good to make sure that their car contains everything they need to cope with the most common mechanical, environmental and situational scenarios they may be faced with on their travels. If your child’s car breaks down, having a reflective triangle and high visibility jacket are important in making sure that the car is seen from a distance. If a car is forced to stop in or alongside a busy road, this presents a notable risk to the driver and passengers of the car itself, as well as to other road users. Advise your child that if their car has broken down on a busy road they should try their best to get it to the side of the road and out the way of traffic. It is also imperative to not remain in the car, or stand next to it. This is because there is a high risk the car could get hit by other traffic, which can put people in danger of getting seriously injured. All passengers should vacate the car as soon as possible and stand away from it, as far back as they can, but still so the car is within sight. If the car breaks down on a motorway, for example, leave your car on the hard shoulder, climb over the barrier and climb up the bank if there is one – just don’t remain near the barrier. Setting up reflective triangles and wearing a high visibility jacket, combined with safe breakdown practices, are extremely important in alleviating this risk for everyone. Having a water bottle and an insulated blanket can be very useful for accidents or breakdowns. Having a water bottle helps to keep drivers and passengers hydrated, which is especially important in hotter weather, and blankets are also important for keeping warm in the event of an emergency. If your child’s battery runs flat then these will help to jump start the engine. Make sure that your child is instructed in safe use of these before departure. In the event that the car breaks down at night, a torch can be very useful. It is also important to make sure that there are spare batteries, just in case the ones in the torch run out. A torch can be very helpful when inspecting a car’s engine or doing simple maintenance checks on a vehicle. It is good practice to keep a spare tyre in your child’s car, alongside a winch and tools, so that they are able to change the tyre if it busts. This is a common problem in cars, and being prepared in advance will not only save time but also reduce costs for repairs or breakdown transport in the long run. Read this step by step guide by the AA for good practice on how to change a tyre. Keep a full list of contact details for emergency contacts, insurance information and breakdown numbers in your child’s car so that if they are involved in an accident, they have easy access to the information they need. It is always a good idea to keep a basic first aid kid in your child’s car. It may come in handy for any minor accidents, as well as being useful in helping to provide minor medical care whilst waiting for paramedics in the event of a more serious accident. Tyres should be checked at least once a month. Having a tyre inflater can help your child to easily inflate tyres which are under the recommended pressure stated in the car manual. This should be kept in every car, and contains a great deal of important information specific to individual car models. Instructions on how to check fluids, advice for better driving practices and how to solve many common problems are all included, making it recommended reading for new drivers. Checking the car’s dipstick regularly is also very important routine maintenance for your child’s car. By keeping engine oil in the car, it encourages more routine checks and means that if they need it whilst out on the road, it is to hand. Absolutely essential during the winter months. Driving without clearing your windscreen is incredibly dangerous, so make sure that there is one of these handy in your child’s car. Similarly to the above, de-icer is an easy way of clearing your car of ice before driving in cold weather. This is a list of some of the most important items to keep in your child’s car. It is not an exhaustive list but with these, your child will hopefully be prepared for most common situations and driving conditions and you can get some much needed peace of mind when they set off.